Link to the Nature paper that this DArchive describes. On August 17th 2017, three detectors on Earth observed a gravitational wave (GW) event known as GW170817. Scientists localised the origin of the event to a 30 square degree patch of the sky by observing the GW signal in the three locations (two LIGO detectors in the United States, and the recently commissioned VIRGO detector in Italy). For reference, that is sixty times the size of the full moon. Although that might sound large, in the emerging field of GW astronomy, 30 square degrees is an approximately tenfold improvement on what was possible before a third detector came online. Independently, the space based Fermi Gamma-Ray Burst Monitor (GBM) detected a gamma ray burst (GRB170817) less than two seconds after the GW event. Within hours, optical telescopes around the world were slewing to the LIGO-Virgo localisation region. Many reported finding a new and fading object, known as a transient event. This is tremendously exciting to the astronomy community because this is the first GW source to have been detected with both gravitational and electromagnetic waves (EM). For the first time, this is a “multi-messenger” detection. The burst of optical data allowed astronomers to quickly hone in on the galaxy where GW170817 occurred – NGC4993. This galaxy is so far away that its gamma-rays (GRB170817) have been hurtling towards us for 130 million years. Although this event took place when dinosaurs were the dominant life form on Earth, we were able to detect its impact on the fabric of spacetime just two months ago. In the time it took for the gravitational ripples to reach us, humans and their technology evolved sufficiently to build detectors sensitive enough to receive the signal from this distant collision. In other words, we managed to be in the right place at exactly the right time. GW astronomy is still in its infancy. To date only four events have been recorded. Prior to the discovery of GW170817, all of these had been the result of a coalescence of two black holes (see previous discoveries here, here, here and here). Another type of system that gives off measurable gravitational waves are coalescing neutron stars. Neutron stars are fascinating objects: they are the collapsed remnants of large stars which have run out of nuclear fuel. Neutron stars are so compact that if you were to take a single teaspoon of one, it would have the weight of roughly 17,000 Empire State buildings. Black holes (being black) don’t give off gamma ray bursts or other types of electromagnetic radiation when they coalesce. In contrast, neutron star mergers result in a violent explosion of heat and light known as a kilonova. These kilonovae are the missing piece in GW science because if they’re observed simultaneously with the GW event, they can be used to trace the expansion rate of the Universe. If the previous four GW events had opened our eyes to the rich banquet of scientific possibilities, GW170817 has provided the cutlery to allow us to get tucked in. Why this “banquet”? GW events are unique in astronomy because they are “standard sirens”. Standard sirens are similar to better known class of objects known as “standard candles”. Standard candles are celestial objects that give off a known quantity of energy in the form of light (as does a lit candle), meaning their distance can be inferred from a measurement of their brightness. Examples of standard candles include exploding stars known as a type-Ia supernovae, and variable stars known as Cepheids. Both supernovae and Cepheids have been used in the last century to measure the expansion rate of the Universe today, referred to as the Hubble Constant, or H0. This parameter was named for Edwin Hubble whose observations in the 1920s first demonstrated that the Universe was expanding. The measurement of H0 and a handful of other parameters allows us to piece together the the expansion history of our Universe from the Big Bang to now and into the future. GW events also gives off a known quantity of energy, but in this case, the energy is propagated in a way more similar to sound than to light. 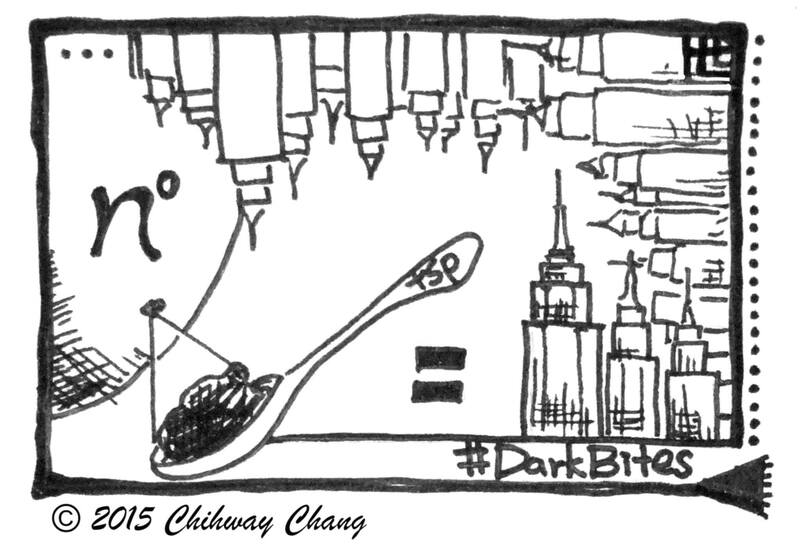 Rather than inferring distance from observed brightness, we use gravitational amplitude and pitch, known as the “chirp” frequency, hence GWs are more comparable to sirens rather than candles. Both standard sirens and candles allow us to measure the distance to a far away objects, but that in itself is not sufficient for us to learn about the evolution of the Universe. For that, we need to add another element: the speed at which that object is moving away from us. This is encapsulated in a parameter known as redshift, or z.
Redshift is a type of Doppler shift. You might be familiar with the Doppler shift associated with the change in pitch of an ambulance siren as it passes. The change in pitch is more dramatic if the ambulance is travelling fast. Likewise, redshift tells us how fast an astronomical object is moving away from Earth. This motion is not due to the fact that the object has some kind of jet pack propelling it, but due to the fact that the space between us and it is expanding. Imagine a deflated balloon printed with dots: as the balloon inflates, the dots move away from each other equally in all directions. 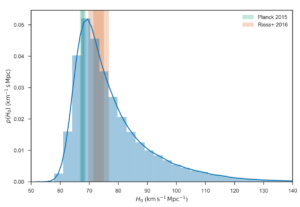 By combining redshift with distance it is then relatively simple to measure H0, which the Nature paper published today has successfully achieved. However, H0 measurements are not new and the value announced today is not nearly as precise as other measurements (20% precision compared to 1% from H0 measured from the cosmic microwave background (CMB by the Planck satellite). So you might ask, what makes this measurement of H0 from GW170817 so special? It is because it is independent of previous methods.Gravitational wave derived H0 measurements are significant because they free us from the problems associated with the so-called ‘the cosmic distance ladder.’ We can only measure distances accurately to within a few thousand parsecs of Earth. This is the bottom rung of the ladder. GW170817 is located more than a thousand times further than that. To infer its distance, using standard candles, we need to climb several more steps and each step more uncertainties creep in. Incredibly, the Hubble constant measurement using GW170817 is consistent (albeit with lower precision) with those derived using supernovae as standard candles (the SHoES project) and using the CMB (the Planck Collaboration), see Figure. The peak of the blue line shows the most probable value of the Hubble Constant measured from GW170817 and its accompanying gamma ray burst. This is compared to the existing H0 values determined from the CMB (Placnk, green) and supernovae (SHoES, orange), highlighting that this new result is consistent with both. The eagle-eyed may have notice that the green and orange themselves have little overlap, which is correct and points towards a controversial tension between Planck and type Ia supernovae measurements. Returning to our banquet analogy, GW170817 has provided one diner with a knife and fork. Once we fill the table with other diners (more GW detections) and equip them with cutlery (more redshift measurements) we will be able to improve that accuracy of multi-messenger measurements of H0 and constrain some of the other fundamental parameters that underpin our cosmological model. With the LIGO and VIRGO detectors resuming their observations in the next year, there is a cautious optimism that we will soon go from today’s giant step for cosmology, to tomorrow’s answer to life, the universe and everything. 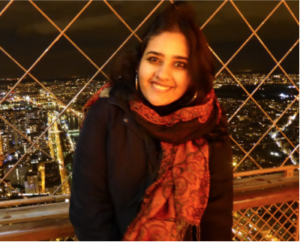 Sunayana is a PhD candidate at the University of Sussex working under the supervision of Kathy Romer. 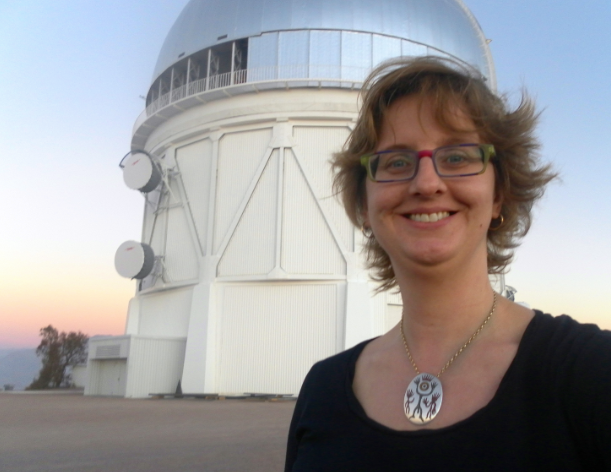 Her research interests involve using clusters of galaxies as cosmological probes, combining X-ray and optical data. Kathy co-coordinates a working group that focuses on the scientific exploitation of clusters of galaxies detected by DES. Clusters of galaxies are the most massive distinct entities in the Universe and they provide a wonderfully diverse way to test many current theories of astrophysics, cosmology and physics. There about 50 people actively participating in the working group and Kathy’s role is to help them get their research into peer reviewed journals. Included in those 50 are Kathy and her PhD students. They are currently using DES clusters to test theories of gravity, the explore the properties of dark matter, and to quantify the relationship between the light and mass.